Dehart's highly trained technicians install quality wiring to "future proof" your new home. 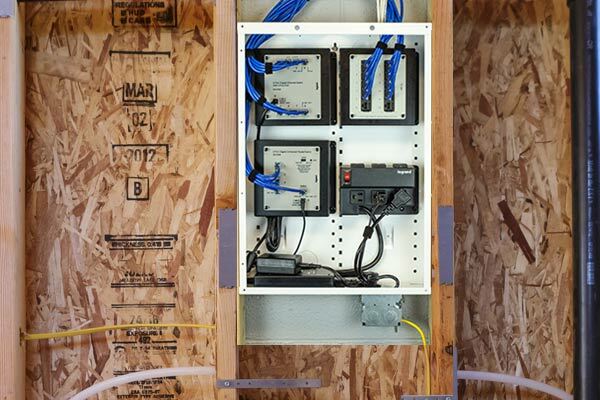 Structured wiring allows homeowners to network audio, video and computer data throughout the home and select telephone jacks for fax, data or phones with the ability to move their locations in the future! Prepare your home for digital cable or satellite throughout your house by using structured wiring by Dehart.